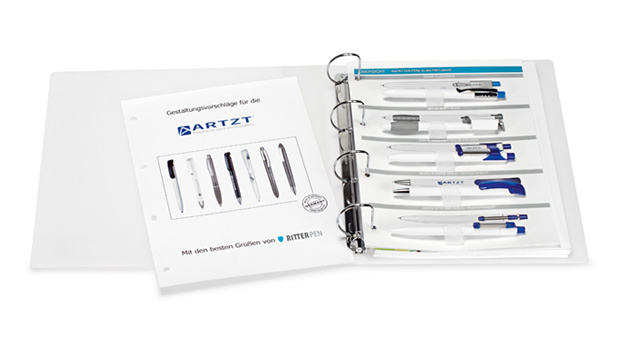 Comprehensive offer of Ritter-Pen pens on 172 pages of the A4-format catalogue. There you can find traditional pens with rotary mechanism, made of high quality plastic, metal pens and models made of ecological materials. A necessary tool of each trader and comprehensive source of information about our pens. 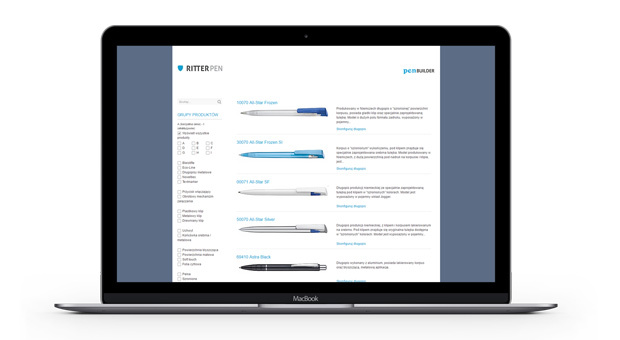 Personalized site with Ritter-Pen products – to place on your website. Link RITTER-PEN pens offer on your website. 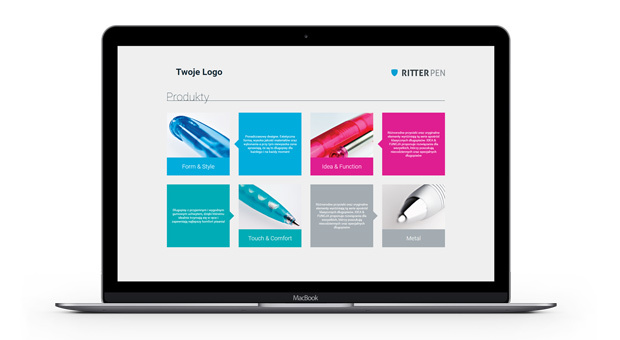 We have specially allowed the possibility of launching a personalized website with Ritter-Pen products, featuring all the models together with pictures and the configuring application named PENBUILDER. We will put there your agency logo, email address and graphic design with matching colours. Website creation is free of charge. NOTE if you want to receive a link to your personalized website, please contact us! Colourful ABS plastic plates with embossed colour numbers. They help to match a pen colour with a colour of customer’s logo. Useful help in everyday work with Ritter-Pen ballpens. Nothing will attract greater attention than ballpen samples that can be seen live, touched and tried out. 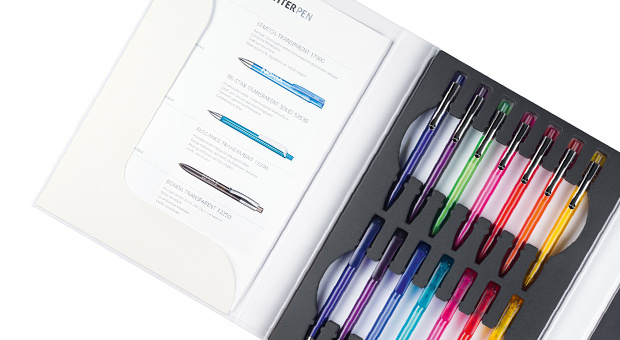 The display cases include RITTER-PEN demonstration pens in sample colour configurations. 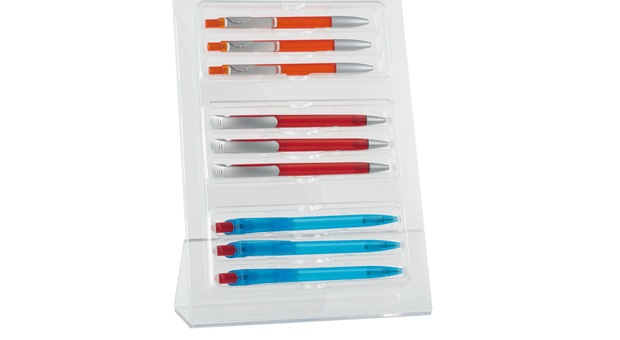 Pen samples stands help to exhibit Ritter-Pen ballpens in the sales office, pattern shop or stationary store. Professional presentation in a non-standard form. Folder with printed ballpen designs together with attached ballpen samples, which may be tried out.